We know you’ve loved Licious meats and seafood. But have you or friends ever debated that we are a tad bit premium for a meat/seafood brand?! Well, we always want you to win that argument and have our back. Here are a couple of points to remind you why you, and 300,000 others love us as they do! At Licious, you pay only for what you’ll eat. While other places weigh the meat and then cut and clean it, we do it the other way around. We clean, then cut, and finally weigh the meat. What you buy can be thrown into the pan without further ado! And if you’re buying 1 kg of meat with us, it is a kg of meat you can actually eat. No offals, no gizzard, just meat. Outside, you’d take home much lesser than what you paid for. If it’s Licious on your plate, it is the freshest meat and seafood there is. We operate in a highly perishable category where the risk of spoilage is high. Yet, if our stocks don’t sell on time, we never, and we mean never, put the inventory up for sale. We wouldn’t dream of extending the shelf life of our products just to make a quick buck. We only sell what we’d ourselves eat. Plus, we go to great lengths to ensure our products are fresh when they reach your doorstep. A temperature of 0-4 degree Celsius is maintained right from the time the meat is cut and handled, to when it reaches your doorstep. We take pains to ensure a consistent experience for you every time you buy our product. So, half a kilo of Chicken Curry Cut would have the same pieces you love (and perhaps fight over)! Every. Single Time. No unpleasant surprises there. All our products come from Licious-curated farms and hand-picked boats (for seafood). Licious follows stringent guidelines-right from the age and weight of the animals/birds procured, to the precision in cuts. Our food processing and safety standards have been acknowledged by the highest quality standards. The FSSC 22000 certification is a testimony to this fact. At Licious, we take pride in the efforts mentioned above and shan’t ever compromise on any of them. We invest unflinchingly in our enviable temperature-controlled storage and supply chain to fulfill our commitment to quality and freshness of meats. At all times! 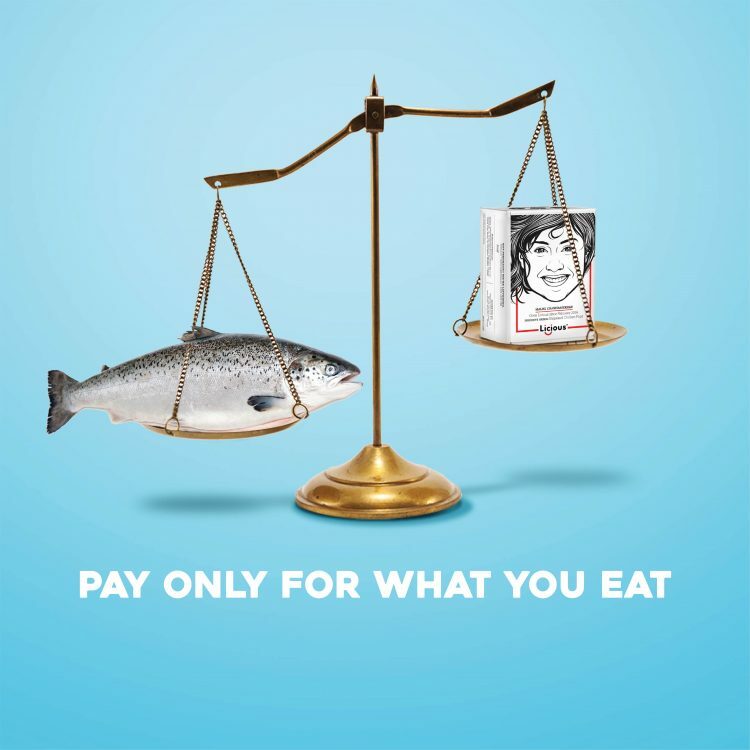 So what you pay for is the freshest meat/seafood there is. Devoid of wastage. Get ready to start cooking with the wonderful feeling of having paid for great meat/seafood. Nothing else! We ordered for the first time today and were curious on the quality of fish. Can you share where these fish actually are being sourced from – I mean waters ( are they imported or local waters) . Secondly, can we pre-order fish and specify what we want as we realised that few of them were out of stock or we did not see some of them. Dear Mukesh, We procure freshwater fish from lakes, rivers and Licious curated farms. Our Seawater fish comes from all Indian coastal regions and we get Atlantic Salmon from Norway. We assure you that the fishes that we offer are fresh and are delivered only after a level of quality checks performed by our Quality Assurance Team. We regret that we were unable to fulfil your requirements for certain products. Please note that if a product displays as ” Out Of Stock “, it means that we were unable to procure the fish of Licious quality and standards and hence are not available for pre-ordering. For any assistance, feel free to reach out to us at Talktous@licious.in or call us at 1800-4190-786. Dear P Chandra Shekar, we feel happy to know about your interest in our products. We would like to inform you that the Goat/Lamb ribs & chops are still available in the product list, however, currently, the product is not in stock due to procurement constraints. We shall update as soon as this product is available for delivery. You can place the order for the ” Habanero Chicken Wings ” from our ” Ready To Cook ” category as this is available. For any assistance, feel free to reach out to us at Talktous@licious.in or call us at 1800-4190-786.